Do the Elderly Need Paleo More than the Young? I also do work in economics and one of my favorite economics blogs is Evolving Economics by Jason Collins. He has an interest in biology and Paleo diets and recently linked to an interesting train of thought from evolutionary biologist Michael Rose. The striking conclusion from this argument is that older people, even those coming from populations that have practiced agriculture for millennia, may suffer adverse health effects from the agricultural diet, despite having no problems when they were younger. This is an intriguing argument. Several aspects of it are well supported: there has been recent evolution to enable people to cope with toxic diets, and there are substantial changes in how we respond to food as we age. We know that there has been recent evolution for greater tolerance to evolutionarily novel foods such as wheat. This is (presumably) why peoples with a long history of grain agriculture are less obese and diabetic on “western” diets than people with a long history of eating healthy foods. In our book, we note that the traditional diets of Pacific Islanders are almost toxin-free. 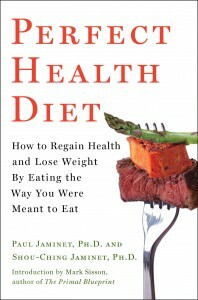 A logical inference is that because they have for millennia eaten the world’s least toxic diets, Pacific Islanders never needed to evolve (or lost) an ability to cope with toxin-rich diets, and now suffer much more harm from toxic foods than do peoples whose ancestors have eaten toxic diets. It’s also the case that we respond to food differently as we age. It’s not only digestion, such as the age-related decline in lactase enzyme expression, that changes. There are metabolic changes. The elderly consume far fewer calories than the young; presumably evolution selected for minimal food utilization so that they would not be a burden to those who had to hunt and gather on their behalf. Their contribution was likely cultural, which didn’t require extensive physical activity. Another change is that the elderly become less likely than the young to store calories in adipose tissue. This has significant consequences. We know from a broad range of evidence that adipose tissue protects other tissues from damage by lipotoxicity; and that when adipose tissue refuses to store fat, obesogenic diets lead to metabolic syndrome and diabetes. So reduced storage of calories in adipose tissue in the elderly will lead to (a) reduced rates of obesity (as measured by adipose tissue accumulation), but (b) higher rates of metabolic syndrome and diabetes. 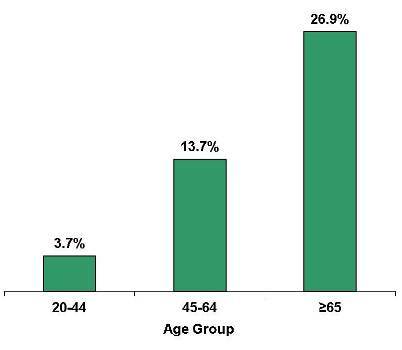 Obesity rates for people over age 65 are lower than for people aged 30-64. Despite their lower obesity rates, the elderly have higher diabetes incidence. This difference alone is sufficient to answer the question in our title: Yes, the elderly do need a Paleo (ie healthy) diet more than the young. Diabetes is much more dangerous than adipose tissue accumulation, so the elderly will suffer greater health impairment from an obesogenic (and diabetes-genic) diet than the young. Is There Data Specifically Testing Rose’s Idea? Rose’s idea that an evolved tolerance for toxin-rich diets will be specific to reproductively-aged persons with agriculturalist ancestors, is, so far as I know, not easily tested by available empirical evidence. Are Pacific Islanders more likely than westerners on similar diets to develop diabetes at reproductive ages, but equally likely at late ages? Are they more likely to become obese at younger ages than old? Is aging more rapid in traditional peoples than in westerners during reproductive years, but similarly fast during elderly years, if they eat similar diets? I am not aware of any such studies. Let me know if you are! Cassels S. Overweight in the Pacific: links between foreign dependence, global food trade, and obesity in the Federated States of Micronesia. Global Health. 2006 Jul 11;2:10. http://pmid.us/16834782. Unger RH, Scherer PE. Gluttony, sloth and the metabolic syndrome: a roadmap to lipotoxicity. Trends Endocrinol Metab. 2010 Jun;21(6):345-52. http://pmid.us/20223680. Sun K et al. Adipose tissue remodeling and obesity. J Clin Invest. 2011 Jun;121(6):2094-101. http://pmid.us/21633177. Health, United States, 2008: With Special Feature on the Health of Young Adults. National Center for Health Statistics (US). http://www.ncbi.nlm.nih.gov/books/NBK19623/. 2011 National Diabetes Fact Sheet, http://www.cdc.gov/diabetes/pubs/estimates11.htm. Erich asked about the link between omega-6 fats and obesity. It’s a good question and also a good way to introduce the first step of the Perfect Health Diet weight loss program: removal of toxic foods from the diet. These toxic foods are particularly dangerous in combination. We discuss this mix of toxins in the book (pp 56-59). If you feed lab animals high doses of polyunsaturated fat (either omega-6 or omega-3 will do) along with high doses of either fructose or alcohol, then fatty liver disease develops along with metabolic syndrome. Metabolic syndrome is a major risk factor for obesity, and it’s not very difficult to induce obesity on these diets. Stephan did a nice post a few years back, “Vegetable Oil and Weight Gain,” discussing a couple of studies showing that both rats and humans get fatter the more polyunsaturated fat they eat. What the animal studies show us is that when fructose and vegetable oils are consumed together, they multiply each other’s obesity-inducing effects. Here are a few pictures illustrating the correlation between polyunsaturated fat consumption, fructose consumption, and obesity. It’s a common observation that the toxic grains, especially wheat, can produce a potbelly or “beer belly.” Rice doesn’t seem to do that. Note the low obesity prevalence in the rice eating countries of China, India, Japan, Indonesia, and southeast Asia; and in sub-Saharan Africa, where a diversity of starch sources are eaten, including manioc/cassava, sorghum, millet, rice, maize, and wheat. 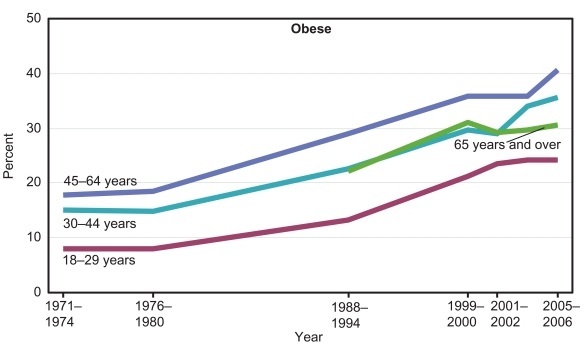 The highest obesity prevalence is found in wheat-eating countries. Body fat percentage was 20.2% in the wheat group, 13.7% in the rye group; fasting insulin was 126 pM in the wheat group, 90 pM in the rye group; and fasting cholesterol, triglycerides, and free fatty acids were higher in the wheat group. 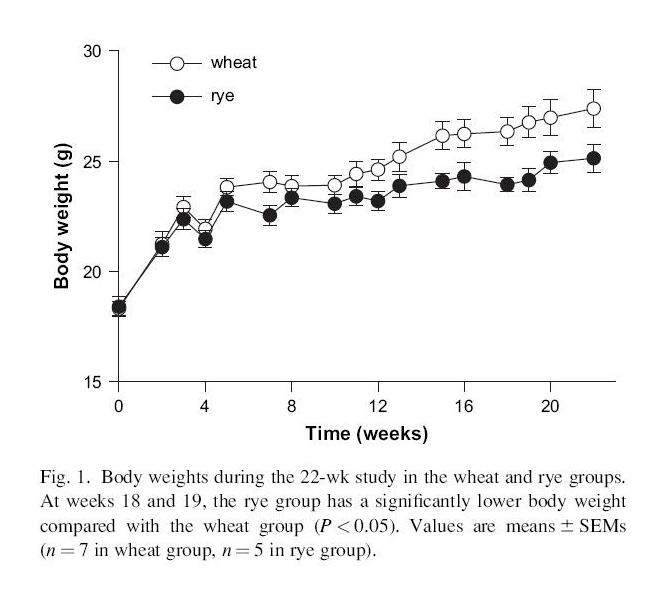 In short: wheat made mice fatter, more insulin resistant, and more dyslipidemic than rye. I believe that rice would have done even better than rye, but I was unable to find a paper directly comparing rice vs wheat or rye. This brings me to a point of difference with Gary Taubes. Although glucose is toxic in high doses, the body has an extensive machinery for disposing of excess glucose. As we discussed in our last post, all tissues of the body participate in glucose disposal. Dietary glucose is not likely to do much damage unless the body’s glucose-disposal machinery has been damaged by other toxins first. Obesity is caused not by carb calories per se, but by natural plant toxins. Plants, not carbs, make you fat! It’s possible, by the way, that differing toxicities among grains could be responsible for epidemiological evidence favoring “whole grains” over “refined grains.” In America, products made with refined grains are usually 100% wheat; but products made with whole grains are often of mixed origin (“7 grain bread”). Since wheat is the most obesity-inducing grain, dilution of wheat content may be masking the toxicity of whole grains. Certain toxic foods seem to be very effective at causing obesity: vegetable oils, fructose, and wheat. Along with malnourishment (for instance, by choline deficiency) and infectious disease, food toxins are why we get fat. 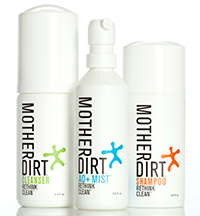 The first step in any weight loss effort, therefore, ought to be removal of these toxic foods from the diet. Removing these toxins may not cure obesity; but without this step a cure is unlikely. Johnson RJ et al. Potential role of sugar (fructose) in the epidemic of hypertension, obesity and the metabolic syndrome, diabetes, kidney disease, and cardiovascular disease. Am J Clin Nutr. 2007 Oct;86(4):899-906. http://pmid.us/17921363. Andersson U et al. 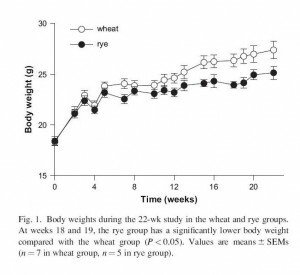 Metabolic effects of whole grain wheat and whole grain rye in the C57BL/6J mouse. Nutrition. 2010 Feb;26(2):230-9. http://pmid.us/19647415. We’ve been looking into how wheat can cause autoimmune diseases other than the “classic” wheat-associated diseases, celiac disease and Hashimoto’s thyroiditis. The first post in the series discussed how wheat can cause a leaky, permeable gut that lets toxins and bacteria into the body. The second post discussed how wheat can itself generate a variety of auto-antibodies that attack nerves, brain, connective tissue and joints. Now, we want to look at how wheat can create diseases by binding to other molecules and causing the body to form antibodies to them. Wheat can thereby cause allergies against foods as well as autoimmune attacks on self molecules. Immunologically speaking, an “adjuvant” is a molecule that when bound to another molecule makes it much more immunogenic. Adjuvants such as aluminum salts are used in vaccines to make the immune system produce antibodies more readily against the target protein. This lowers the vaccine dose needed for immunity. Wheat germ agglutinin (WGA) is a wheat lectin. (It is not part of gluten.) WGA can act as an adjuvant, causing the body to generate antibodies against proteins that, in isolation, the body would not form antibodies against. So don’t eat toast with your eggs! If you have a leaky gut, the wheat might give you an egg allergy. When two small molecules bind together, so they look like one big one, the immune system is more likely to form antibodies against the large complex. These antibodies may then react against one of the molecules individually, even if it is not paired up. If the targeted molecule is human, then the antibody is an auto-antibody. One reason wheat gliadin is so disruptive to the body is that it binds strongly to sugars. The average molecule of wheat gliadin is bound to 1 to 2 molecules of glucose and 2 molecules of sialic acid, another sugar. Since a lot of human molecules have sialic acid residues, gliadin can bind to them. Wheat could be a concealed cause of many food allergies, through WGA’s adjuvant activity. If so, then many food allergies may gradually disappear after wheat is given up. Wheat proteins can also bind to an extraordinarily large number of human proteins, in part by binding to sialic acid or other carbohydrate residues of glycoproteins or glycolipids, and has a chance to induce antibody formation against many of those proteins. The bewildering array of ways in which wheat can trigger attacks on human tissue makes it impossible to identify all the wheat-caused diseases. The only thing we can say for sure is that if you have a disease, it’s a good idea to give up wheat. You may give up your illness at the same time. Wheat Is A Cause of Many Diseases, I: Leaky Gut Oct 26, 2010. Why Wheat Is A Concealed Cause of Many Diseases, II: Auto-Antibody Generation Oct 28, 2010. Alaedini A, Latov N. Transglutaminase-independent binding of gliadin to intestinal brush border membrane and GM1 ganglioside. J Neuroimmunol. 2006 Aug;177(1-2):167-72. http://pmid.us/16766047.